Making its 30th NCAA Tournament appearance and fourth straight under fifth-year head coach Lon Kruger, second-seeded Oklahoma (26-7 overall, 12-6 Big 12) won its opening-round game on Friday and advanced to play 10th-seeded VCU (25-10, 14-4 A-10) on Sunday in the round of 32. The contest will be played at Chesapeake Energy Arena in Oklahoma City and will tip at 4:15 p.m. CT. If the Sooners win Sunday and earn their second straight trip to the Sweet 16, they will face the winner of the Texas A&M (No. 3 seed) and Northern Iowa (No. 11 seed) matchup next week in Anaheim, Calif.
All of OU’s NCAA Tournament games will air on the Sooner Radio Network (KRXO 107.7 FM in Oklahoma City; KTBZ AM 1430 in Tulsa) with Toby Rowland (play-by-play) and Scott Thompson (analyst) calling the action. Sunday’s game will be televised nationally by CBS with Carter Blackburn, Mike Gminski and Jaime Maggio announcing. It will also air on the Westwood One Network (Sirius 83, XM 202) with Tom McCarthy and PJ Carlesimo on the call. LET'S KEEP DANCING: Making its 30th NCAA Tournament appearance and fourth straight under fifth-year head coach Lon Kruger, second-seeded Oklahoma (26-7 overall, 12-6 Big 12) won its opening-round game on Friday and advanced to play 10th-seeded VCU (25-10, 14-4 A-10) on Sunday in the round of 32. The contest will be played at Chesapeake Energy Arena in Oklahoma City and will tip at 4:15 p.m. CT. This will mark the fifth matchup all-time between OU and VCU (currently tied 2-2), including the second played inside Chesapeake Energy Arena. The teams also met in OKC for the All-College Classic on Dec. 20, 2008 (OU won 81-70). • CLOSE TO HOME: Oklahoma opens the 2016 NCAA Tournament at Chesapeake Energy Arena in OKC for the first and second rounds, which is approximately 21 miles north of OU's Lloyd Noble Center. The Sooners have four student-athletes on their current roster hailing from the state of Oklahoma (C.J. Cole, Daniel Harper, Ryan Spangler and Jordan Woodard). • KEEPING IT (OVER) 100: The Sooners aren’t short on experience or leadership this season. OU’s quartet of Isaiah Cousins, Buddy Hield, Ryan Spangler and Jordan Woodard has started every game (101 consecutive) for OU the past three seasons, tallying 404 combined starts during that span. With the addition of Khadeem Lattin (33 starts), OU boasts a starting five with 464 combined career starts. Each member of the 'core four' has at least 1,000 points in his respective career at Oklahoma. • GETTING OFFENSIVE: OU currently ranks second nationally in 3-point field goal percentage (.429) by hitting 345-804 of its shots from downtown. Oklahoma’s all-time record for 3-point field goal percentage in a campaign is .414 (1986-87). OU has connected on at least 10 treys in 22 games this year (a school record) and it’s 10.5 3-point makes per game ranks sixth nationally (first in Big 12). OU's 345 total 3-point field goals made this season ranks fifth in the country (first in the Big 12). 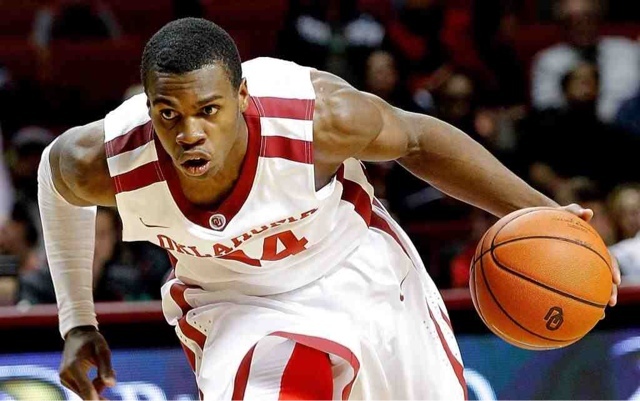 • BUDDYBUCKETS: Senior Buddy Hield is currently averaging 25.0 points per game, which ranks first in the Big 12 and second nationally (first among Power 5 conferences). The two-time Big 12 Player of the Year has scored at least 20 points in 24 games this season and his 46.4 percent (130-280) shooting from downtown ranks fourth in the country. His 3.9 3FGM per game is tops in the nation. The Bahamas native has 10 games of at least 30 points this season (same total as the rest of Big 12 combined, tied for most in the nation) and 12 total such games in his career at Oklahoma (second-most in Big 12 history).